Let me start off by telling you two things: To get sustainable voice-over work is harder than you’d think—lots of people want to do it, and networking, no matter the industry, is a deleterious task worthy of all your contempt. 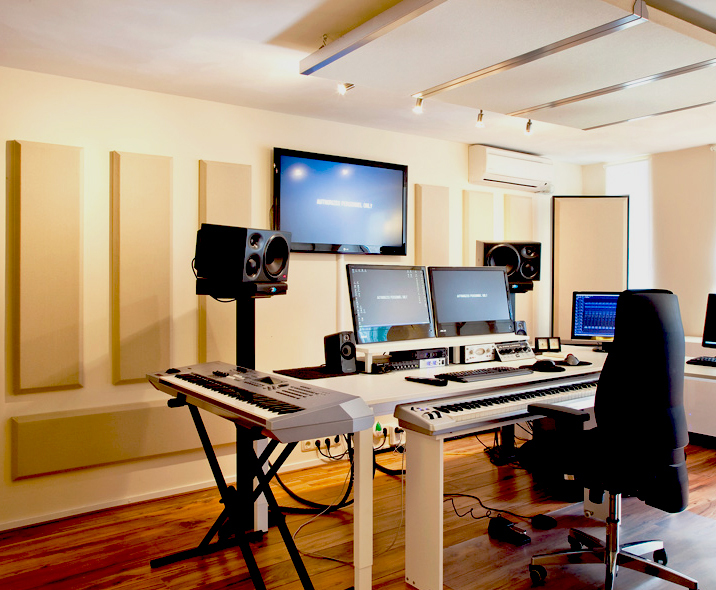 However, it’s never been easier to produce professional-grade vocals at home for voice-over work. In fact, it’s easy enough for me to explain how to do it relatively quickly, in this article right here. No room in your house is going to be perfect, so make peace with that now. The AC, the radiator, a wanton refrigerator nearby, maybe some electrical hum you didn’t even know you had—something is going to ruin the sonic experience. Some rooms will be better than others. Audition the bedroom or the living room first as possible contenders. As a general rule, parallel wells in a room will often create unwanted sonic effects when recording, but it’s often impossible to find a room in your house that isn’t a rectangle or a square. Don’t fret—there’s much you can do to offset the problems. You’ll want to minimize this effect, as it could muddy your recordings. In my own studio, I had a friend construct thirteen 703 Fiberglass panels. Three are on the wall to my left, three are on the wall to my right, three are on the wall facing me, and four are hung from the ceiling, creating a cloud. There is no flutter echo in this room anymore, and vocals recorded here sound dry and dead. You can also buy Fiberglass paneling from Primacoustic, Geerfab, and others. 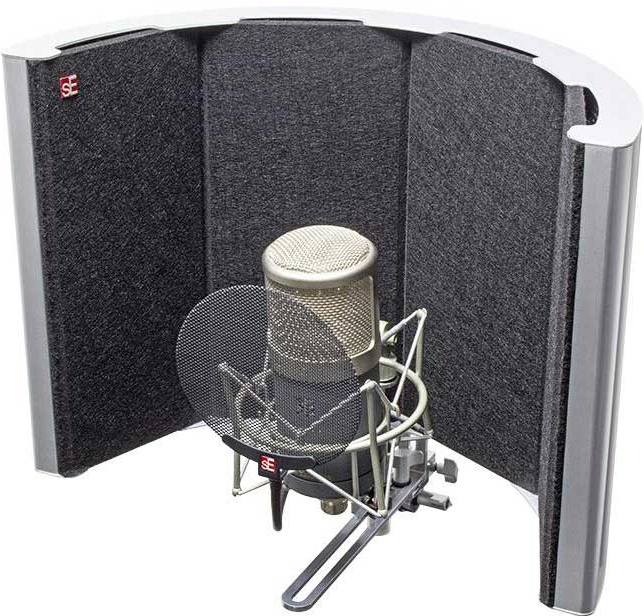 If modifying your room in such a manner isn’t the way to go, look for portable vocal isolation booths. We recently did a video on the IsoVox 2, the results of which sound amazing. If you’re looking for a wallet-friendly solution, The sE Electronics SPACE Reflection Filter is a good option for dimming room reflections. And if you’re looking for the most inexpensive option, some people have been known to get good results recording themselves underneath a couple of packing blankets set up between two mic stands—or some other useful structure. It doesn’t look pretty, and it wouldn’t be my first choice, but some people think it’s well enough. You’re going to need a reasonably good mic for the job here. It would be easy for me—and quite oily too—to say that you should buy a million-dollar microphone, the best preamps in the world, and top-of-the-line analog to digital conversion. But these days that’s not strictly necessary. For one thing, the quality of inexpensive mics is improving all the time; also, the ear of the consumer is more and more forgiving of badly recorded material (though you shouldn’t skate too far on this). This last nugget’s always been true: Your voice is unique, and will pair uniquely with different microphones. On a more budget-friendly tip, I could tell you to get a Focusrite Scarlett interface, or an Apogee One, with an Aston Origin, or a Shure SM7B, or an Audio-Technica AT4050. Those would be great. I could tell you to skip the interface and get an Audio-Technica AT2020USBi USB Microphone, or a Sennheiser MK4 USB. Those could be fantastic. But really, the best advice I could give you is to find your way to our SuperStore and audition all our mics yourself. The pairing between person and mic is as individual as that between wizard and wand (or so J.K. Rowling would have us believe). One last bit of business: If you’re going with a USB mic, you wouldn’t need an interface, which is for converting analog audio into digital ones and zeros. If you prefer the wired microphone, you’d need an interface to make it play nicely with the computer. Also, get yourself a pop filter, a mic stand, and clear off a space to read whatever text you’re recording. “Cans” is lingo for “Headphones,” and you’re going to want a good pair to record with/listen to playback. I’d recommend two pairs at minimum and preferably three. Here I have no problem giving you specific recommendations: The Audio-Technica ATH-M50x, the Sony MDR-7506, and any cruddy pair of earbuds you have. 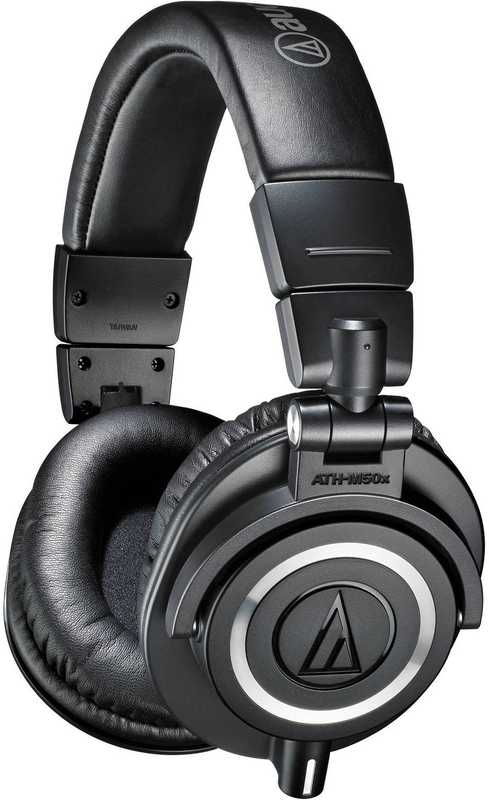 The Audio Technicas can be used to give yourself confidence in capturing a meaty, full-bodied sound. The second pair is quite revealing and unflattering, letting you know if too much of the room is present as you sound-check, or if your mic positioning is too sibilant. The third pair is your consumer check. 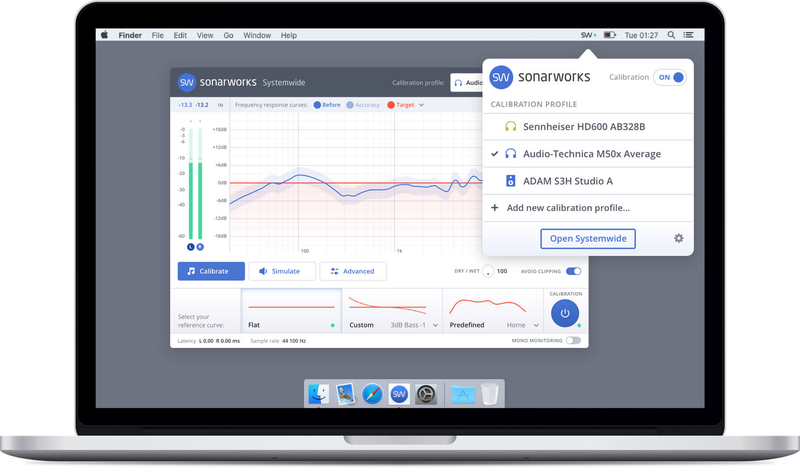 Other bonuses might serve you well, such as SONARWORKS’ Headphone Calibration Software, which flattens out the headphone response for a more accurate experience (always make sure to toggle this off after using), as well as your home stereo, your computer monitors, your car monitors, and literally any other speaker you have at home. You will need all of these at your disposal to make sure you’re getting a good sound. You’re going to need a DAW (digital audio workstation) with basic editing capabilities to do the work. Logic Pro X, Pro Tools, Cubase, Reaper, Studio One, Ableton Live, take your pick. Or better yet, read this article on which DAW is right for you. It also won’t hurt to have some basic audio processing and noise reduction software on hand. The DAW you choose will have equalization, compression, and reverberation options good enough for the tasks at hand. 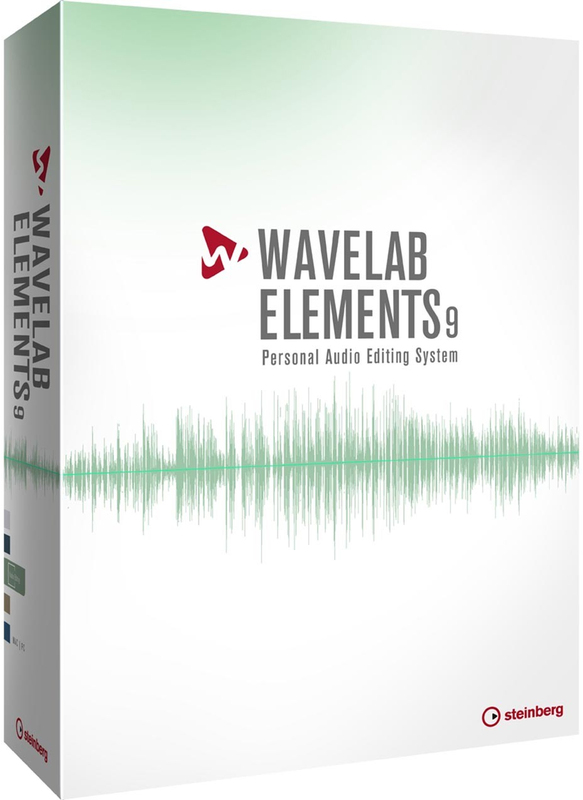 Noise reduction won’t come stocked with your suite unless you’re using something like WaveLab Elements, which includes a few choice pieces. Noise reduction—and using noise reduction techniques properly—is important in home studios, as you’ll invariably need to fix some room-based errors here or there. For techniques on using EQ and noise reduction, please refer to the articles in the provided hyperlinks. So you’ve got the room treated, the mic selected, the cans picked out, and the audio tools at your fingertips. Now what? Set your level. Do this by speaking as loud as you think you’ll record as you manipulate your interface’s gain control. Play with the gain control while watching the corresponding input meter—the meter should be on your interface, but if you’re using a USB mic, you can also watch the meters within your DAW. Generally speaking, you want the incoming signal to sit roughly in the middle of your meter’s range. You don’t want to hear distortion, and you don’t want to see any of your meters peaking into the red. Here’s a good rule of thumb: In the digital age, with interfaces and USB mics, set the audio a dB lower than you’d like. This will spare heartache later. Using your Sony MDR cans, speak directly into the capsule, using words with plenty of sibilance in them. How does it sound? Too bright? If so, rotate the microphone so that you’re speaking into it slightly off-axis (i.e., not directly into the capsule). Don’t go too far or else you’ll have a muffled sound, but this should mitigate some of that pesky harshness. Now, listen to the room through these Sony MDR headphones; are you hearing anything in the room that you can turn off—an air conditioner, a heater, or an air purifier? This is your double check. 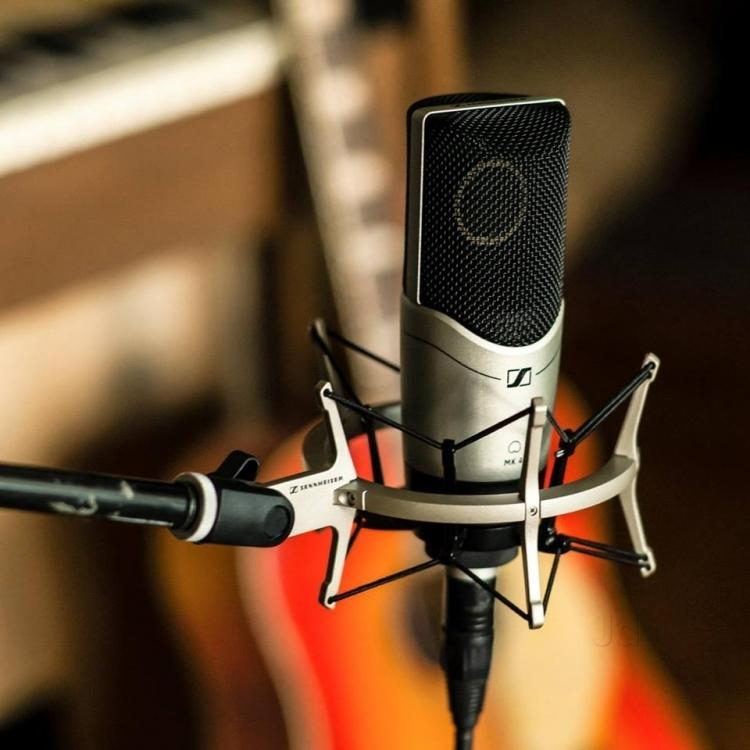 Once that’s addressed, switch onto the Audio Technica headphones and play with your distance from the mic (between half and two fists) until you like the sound of your voice. Don’t stop the recording if you mess up the take. Just pause for a moment, take a breath, and go again. You should know that at first, recording voice-overs will feel really, really weird. But as you keep talking, you will gain confidence, and all will be well. Oh no! We’ve run out of room to talk about the editing and mixing phase. Good thing we’ve covered that in this article right here. That’s about all the time we have to talk home voice-over production. Is there anything you feel we’re leaving out? Let us know in the Comments section!